People have scoffed at the adoption rate of e-books, but numbers for 2010 show that they accounted for nine to ten percent of all book sales this year. With the holiday gift giving season now drawing to a close, pundits are left to speculate how many e-readers found their way into the hands of new customers, and will this cause the first few months of the new year to see unprecedented e-book sales. It’s looking like the e-reader renaissance we have been promised for years may finally be coming to fruition. As we go into 2011, publishers are predicting that e-book sales may climb by at least 50 percent, and, accordingly, are expanding their digital divisions to meet this new demand. Sales doubled between 2009 and 2010, so it is not unreasonable to suspect that sales will grow by the number they are predicting, if not more. There are, however, a few drawbacks to this new digital frontier. On Christmas day, a quick check of the hottest trends in Google searches showed that number ten was, “free Kindle books”. That isn’t going to line anyone’s pockets. There is a great point here, if you look at the lists of top selling e-books they are almost always the same as the print lists. How are people going to discover the next Twilight (let us hope that doesn’t exist) if it isn’t immediately a best seller? The retail stores are still an important part of the publishing food chain and publishers are going to have to remember that. Course, it doesn’t hurt that they still account for 90 percent of their sales. Publishing is going to have to find a balance in this brave new world, but it definitely looks like the e-book concept is here to stay with us for a while. What say you? 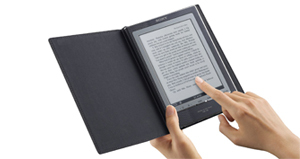 Are you getting more interested in e-books? How do you discover new writers?